Founded in 2012, Asia Pacific Career Development Association (APCDA) aspires to provide an international forum for sharing career development ideas and experience in the Asia-Pacific region with global perspectives. 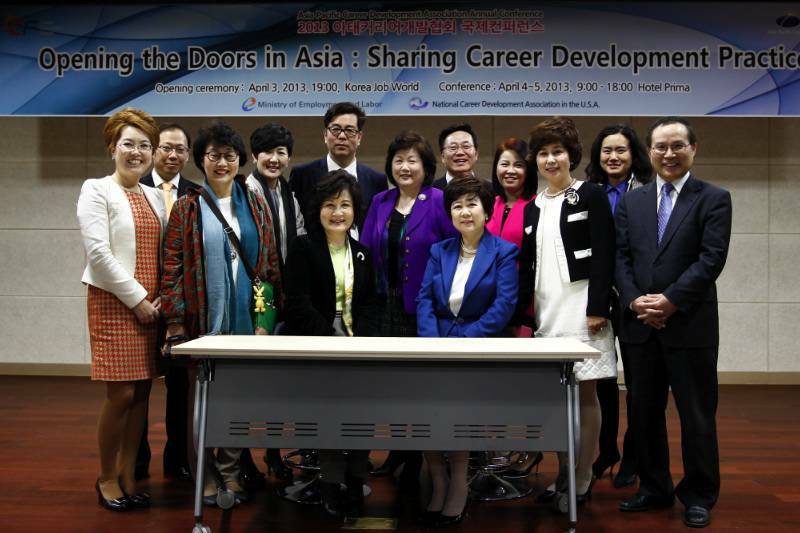 Apart from hosting conferences (first in Seoul in April 2013), the steadily growing organisation also holds workshops and professional training events to facilitate learning for career development professionals. Marilyn Maze shares her experience of bringing the close-knit community together as the executive director of APCDA. HQ: How successful has APCDA been in achieving their goals? Marilyn Maze: APCDA has held conferences in Seoul, Honolulu, and Tokyo. Future conferences will be in: 2016 in Taipei, 2017 in Manila, and 2018 in Beijing. Each year we have had more attendees, reaching 120 at the most recent conference. These conferences have clearly achieved our mission. Over 15 countries have presented at each event, sharing career planning practices, theories, and research. Friendships have been formed across the Asia-Pacific area, encouraging further exchange of ideas and collaborations. HQ: Who attends your events? HQ: How challenging is it to organise the conferences? Marilyn Maze: We are committed to holding a conference in a different member country each year. This is challenging because each country is different - but also each country has a different allure. It is sad to leave behind some of our friends from each country. Holding a conference in a country provides the opportunity for many people living in that country to attend. Some of them are able to attend conferences in other countries, but we miss the ones who are not able to travel to other countries in following years. Our conferences are small and intimate, so we feel like we are saying goodbye to friends when they end. HQ: What do you look for in the host venues and destinations? Marilyn Maze: Primary concerns for our members are related to the cost to attend. We held our first three conferences in hotels, and plan to hold the next three in universities. Universities provide a great learning environment at a lower cost, so we can use our funds for speakers, food, and other amenities. Attendees want inexpensive hotel rooms and meals while traveling, and want the cost of flying to the event to be low. Obtaining a visa can be an issue for members from some countries. Two additional concerns are safety and weather. When we visited Seoul, the news was full of threatening talk from North Korea. Many people worried about what might happen during our visit. Our members love to enjoy the cultural opportunities in each country. We ask our hosts to select special events for us to show off the local sites. This year in Taipei we will visit the Palace Museum which holds ancient Chinese art. We also hope to visit a night market to enjoy the food and shopping. HQ: Any memorable experiences so far? Marilyn Maze: In Seoul, we visited Job World, a large “museum” where youth can get a glimpse of a variety of careers. Job World has film-making studios, an airplane cockpit, a kitchen and restaurant, and fire-fighting simulation. We enjoyed seeing all of the exciting careers represented there. In Hawaii, we visited the Polynesian Cultural Center and learned about life in the many Polynesian island nations. In Tokyo, a career counselor who is skilled in traditional story-telling provided a Rakugo performance for us. HQ: What do you think are the latest trends in career development in Asia? Marilyn Maze: Some countries in our region, like Singapore and Korea, are surging forward with legislation to assure that all of their citizens have jobs that match their strengths and can be productive workers. Many countries are recognising that their labor force is a valuable asset for growth and taking care of the career needs of their people offers a big payoff in terms of productivity. Another important trend it to localise theories and tools for career planning. Identifying ways to harness the strengths and values within the culture and techniques that are more helpful in each setting are very important steps. At our conference, representatives from many countries will be sharing their techniques. The differences in the ways people approach similar problems in each country are very enlightening. HQ: What would you like to see improved in your field of expertise? Marilyn Maze: Some countries have more resources devoted to career planning than others. I hope that other countries that are struggling can take inspiration from their neighbours and find the resources to implement more comprehensive services. HQ: Any future plans for APCDA? Marilyn Maze: Hopefully we can add new countries to our membership each year. We anticipate that, as we hold conferences in different locations, nearby countries will notice and join us. As we grow, funding and publicity will follow. My personal long-term goal is to create a structure that is not dependent on any one person and will continue after our founding members have retired. We have found a recipe for success that is helping us to grow slowly in membership and financial resources. I believe there is a critical size, which we have yet to achieve, that will allow this association to continue into the future.